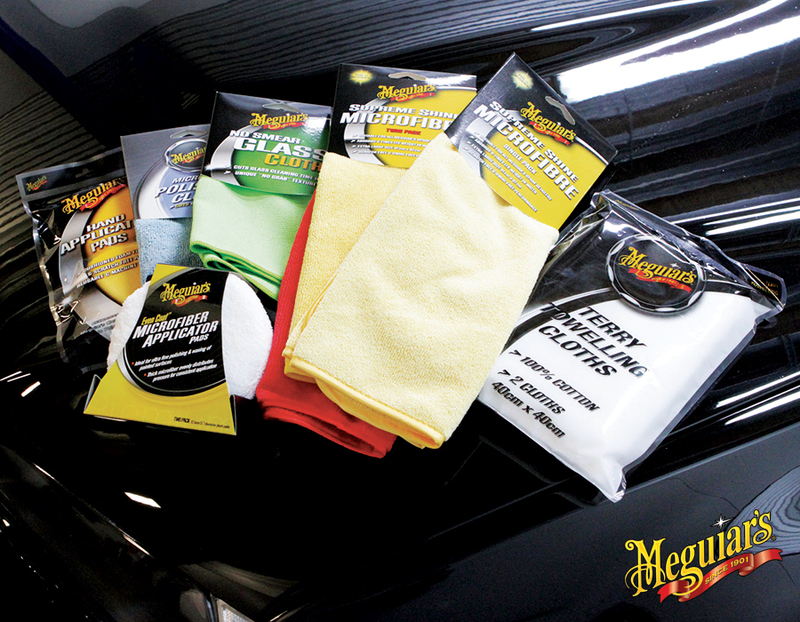 Most of Meguiar's applicators, microfibre cloth, towels and wash mitts are machine washable. Use hot water to wash your cloths and towels. Waxes, polishes and most other cleaners and detergents we use on our cars are not water soluble, therefore when they dry they adhere in a solid state to the fibres of your towels. A cold water wash will simply allow them to remain in a solid state and not completely wash off. Hot water, however, allows them to soften and loosen from the threads and allows the detergent to lift the contaminants from the fabric. It’s a good idea to store your clean towels in a covered plastic container, but avoid using an airtight container as air circulation will help prevent mildew build up. Containers which have snap vents for circulation are ideal. Avoid washing your towels with other fabrics as they tend to pick up lint and other particles from other fabrics. Do not use fabric softener as this coats your towels with silicone. Try using a little distilled white vinegar in the final rinse cycle to help remove excess detergent and soften your towels naturally. Use liquid detergents instead of powder as the powder may not dissolve properly in the wash.
Never use bleach on your towels as this can damage the microfibres and make them coarser which in turn can scratch your car’s finish. Air dry your towel. It is safe to use the clothes dryer on high heat to dry your towels, in fact this will make the towels fluffier.